Does imaging technology actually cause cancer? Since before the first years of college, we have heard of the carcinogenic potential of ionizing radiation and that there would be no safe dose of exposure. This common sense is often explored when we study the limitations of imaging methods, and the use of ionizing radiation is often pointed as a negative point of computed tomography, nuclear medicine, and even conventional radiology. However little is asked about where this information comes from and what its scientific basis is. 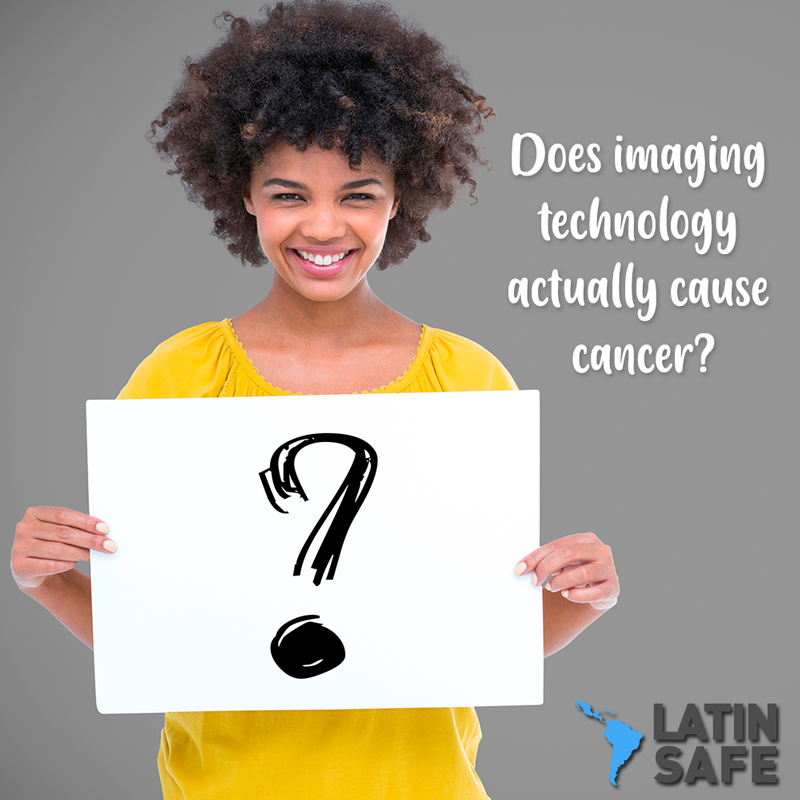 In the article titled “Does Imaging Technology Cause Cancer? Debunking the Linear No-Threshold Model of Radiation Carcinogenesis” the authors propose to discuss the model used for this common sense by detailing its limitations and proposing an alternative model that considers some recent findings molecular biology. It is undeniable that lay media sometimes use sensational material, overestimating the harmful effects of ionizing radiation, even from low-dose medical imaging (such as the not-so-old episode of the use of thyroid protectors for mammography). Causing the so-called “radiophobia”. But where does this concept that there is no safe radiation dose related to the risk of cancer come from? This is the first question answered by the authors in this paper – they present the model called a linear non-threshold model (LNT) which determines a higher risk of cancer with increased radiation and that there would not be the safe low dose of radiation, but also exploit their limitations. Using post-exposure data to the atomic bomb (considered one of the great paradigms for the effects of ionizing radiation and its potential risk of carcinogenesis, originated from the Life Span Study -LSS) the authors highlight several failures of LNT, among them absence increase in the frequency of cancer in survivors exposed to doses of up to 150 mSv and the low correlation index for the segment of the curve referring to doses ranging from 0 to 0.2 Gy (200 mSv), which suggests that a model that using the concept of dose threshold might be more appropriate for lower exposures, such as occurs with imaging examinations. The authors continue to bring more recent data derived from LSS that point to a negative relationship between low dose exposure (considered = <200 mSv) and cancer risk, which not only questions the common sense that exposure to low doses could lead to cancer as well as a supposed protective effect (called a hormone hypothesis – a concept that postulates that there would be a biphasic response to a given exposure, usually with a favorable response zone at low doses or exposures and an unfavorable response to high doses – as I would say for Paracelsus: ” Poison is in everything, and no thing is without poison. The dosage makes it either a poison or a remedy”). The authors follow up showing the absence of biological plausibility for the LNT model, suggesting that even if the extrapolation of the risk of neoplasia by LNT was valid, it would condition an insignificant number of mutations compared to those that already happen in a random way. In another section of the article, the authors also use this LNT extrapolation to show that even if real, the risk of fatal cancer brought on by a tomographic examination with an effective dose of 10 mSv would be 0.06%, tiny compared to baseline risk of 21% of an American: “The average lifetime risk of dying from cancer in the United States is approximately 21%. to 21.06%. Put this way, the LNT-based risk of cancer due to CT scan can be seen in the miniscule”. In addition the authors bring some molecular biology findings that show a possible adaptive response of the organism to low doses of radiation, including production of antioxidant substances, increased repair of double-stranded DNA and improved immune response. Another interesting point of the article is the discussion of the overestimation of the radiation risk in the Fukushima and Chernobyl accidents and its consequences, with more than 1000 deaths in the first one due to risk management policies that led to population evacuations and abortions due to fear of radiation . They also provide data from studies that have shown no increased risk of cancer in a cohort of more than 4000 who worked in a contaminated area near Chernobyl and were exposed to an average dose of about 10 cGy. The authors still discuss how the LNT model was not considered during the elaboration of public policies of Environmental Control in the United States. As a conclusion, the authors point out that low doses of radiation (<100-200 mSv) could have a beneficial effect considering the hormone model and recent molecular biology discoveries involving cell repair and adaptive responses at low doses of radiation and that these new advances were not taken into account when designing the LNT model.